Keep Fleas Under Control - Yes Pest Pros, Inc. Keep Fleas Under Control - Yes Pest Pros, Inc.
Fleas are extremely annoying. If given the chance, they can get everywhere and bother everyone. Ultimately it is pets that feel the bite of fleas the most, though fleas are not above biting a human or two if they have no other options. Fleas tend to jump around in grasses outside, and when a pet runs around long enough, a flea or two is bound to hop on for a warm meal. 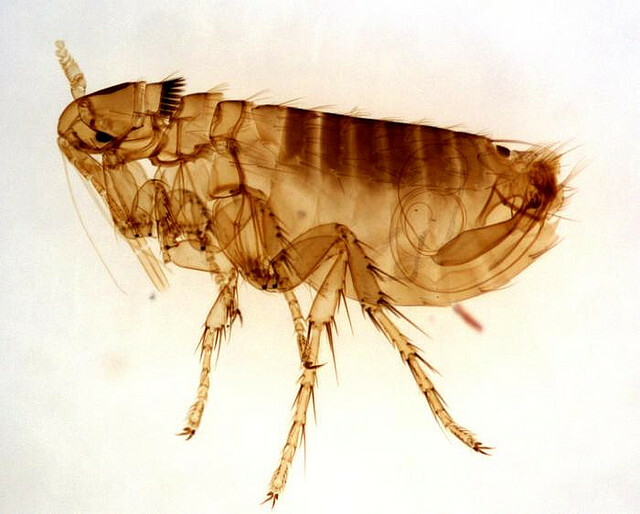 Fleas can spread rapidly if given the chance, and if they aren’t paid the proper attention you may begin to see fleas on your furniture, in your carpet, and other places. Fleas drink blood like ticks and mosquitoes, and they are also the source of many diseases. Indeed, it wasn’t the rats that were the cause of bubonic plague centuries ago, but the fleas they carried. While throughout the course of spring and summer a flea or two is bound to get onto a pet, you can help keep fleas off by giving your pet flea and tick treatments either by purchasing over the counter products or through your veterinarian. If you don’t want to put these products on your pet, then a good bath with natural ingredients designs to kill fleas can be another option. But how do you cut down on the flea population outside to minimize the chances fleas will ride into your home on Fido? This can be difficult because there are plenty of small animals that carry fleas and will bring them into your yard. Likewise, fleas enjoy tall grass to hide in, though their size means the grass doesn’t need to be very high for them to hide. And what if fleas infest your house before you get the chance to stop them? It’s time for professional assistance. Here in Indiana we are no stranger to dealing with fleas and other annoying pests. Getting rid of them doesn’t have to be a nightmare, either. When you contact the right pest control company, whether it’s in Bloomington, Elkhart, South Bend, or Granger, make sure that it’s a company that has years of experience in the extermination services business. You can also double-check to make sure that the products they use are eco-friendly. This means less to zero poisonous chemicals in your home and on your premises. You can feel much better once your home is free of fleas, and you can also speak to the technician about any extra steps you can take to make sure it remains that way.